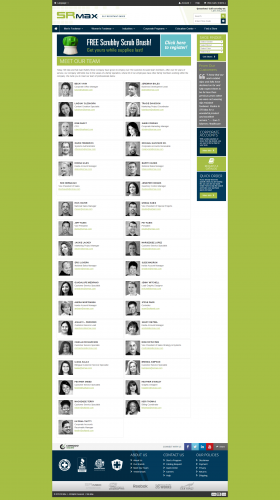 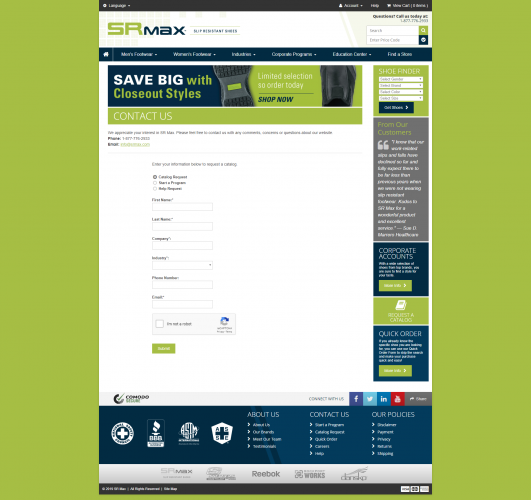 SR Max | Portfolio | Sharp Innovations, Inc. 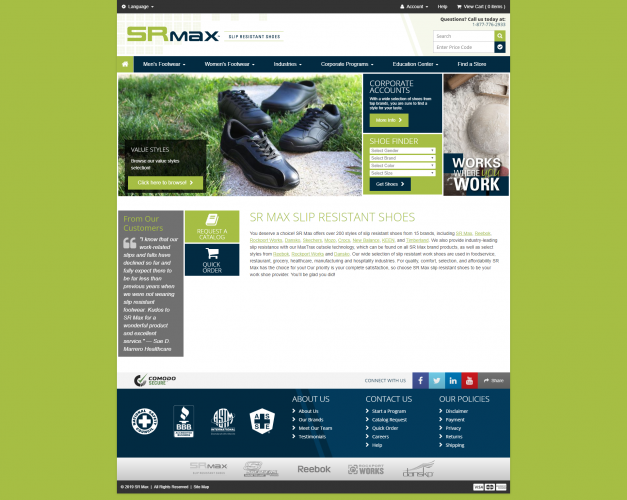 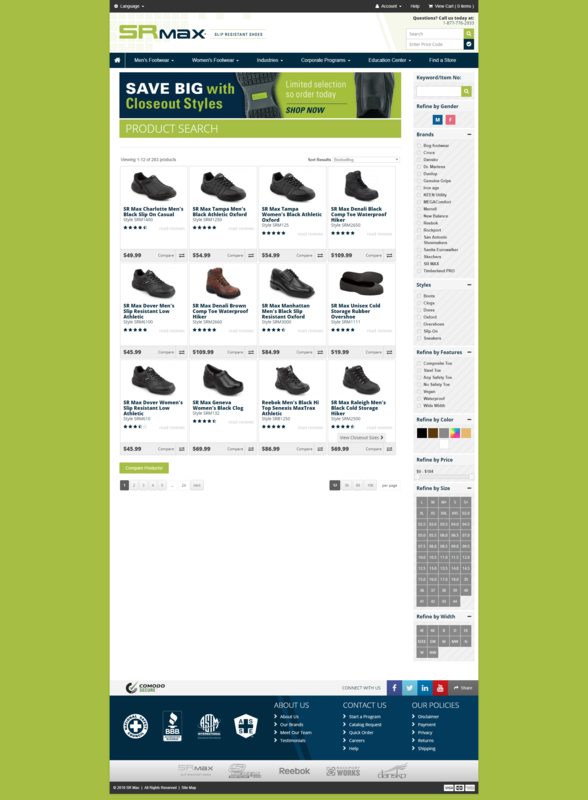 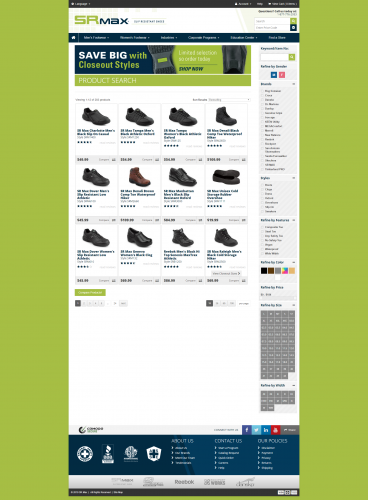 The SR-Max website, while functional, was no longer competitive with the bigger players in the safety shoe industry, and was not as user-friendly as some modern sites with online shopping. 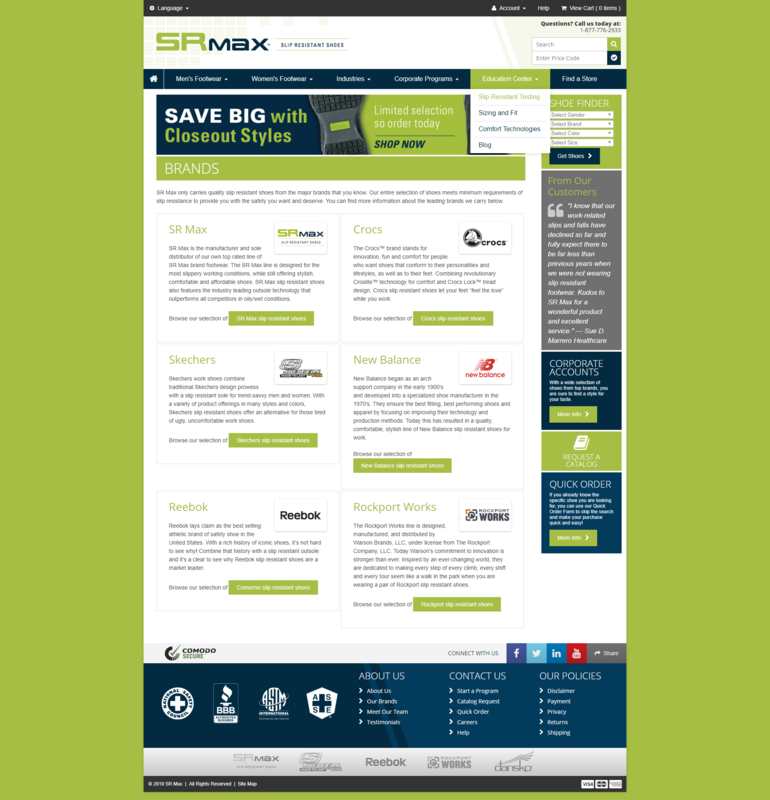 Having worked with Sharp Innovations on the original SR-Max websites, the management at SR-Max sought the advice of the team at Sharp Innovations on how the website could be improved, noting that competition had become particularly intense. By doing extensive online analysis of leaders in the safety shoe and fashion show industries, several recommendations were presented for the new, "3.0" version of the SR-Max site, which would focus on allowing users maximum flexibility and functionality while shopping. 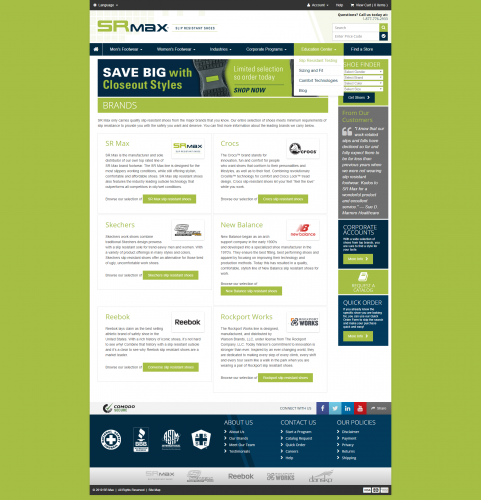 The team at Sharp was given the green light to execute the ideas presented, resulting in a new SR-Max site that not only is a leap over the first version, but that also firmly puts the competition on notice.